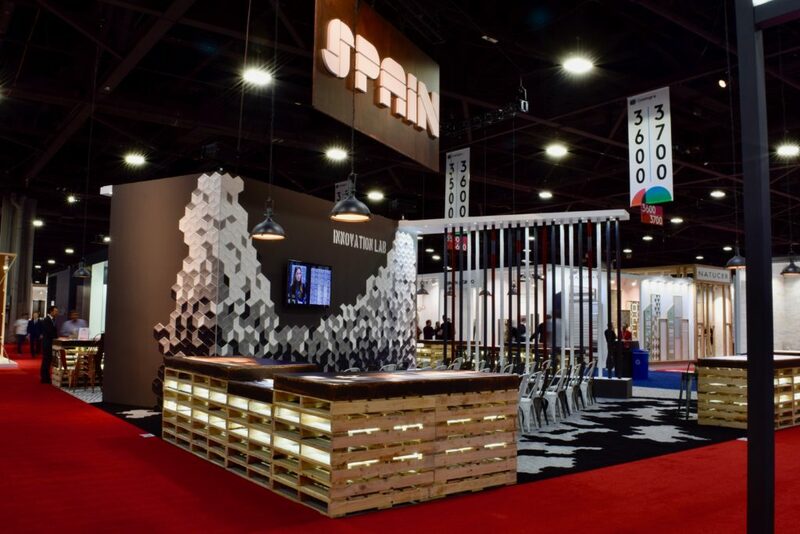 Miami, FL May 2018 – Tile of Spain, the international brand representing 125 ceramic tile manufacturers belonging to the Spanish Ceramic Tile Manufacturer’s Association (ASCER), exhibits a wide variety of new product innovations and trends from Spanish tile manufacturers at Coverings 2018: The Global Tile & Stone Experience. 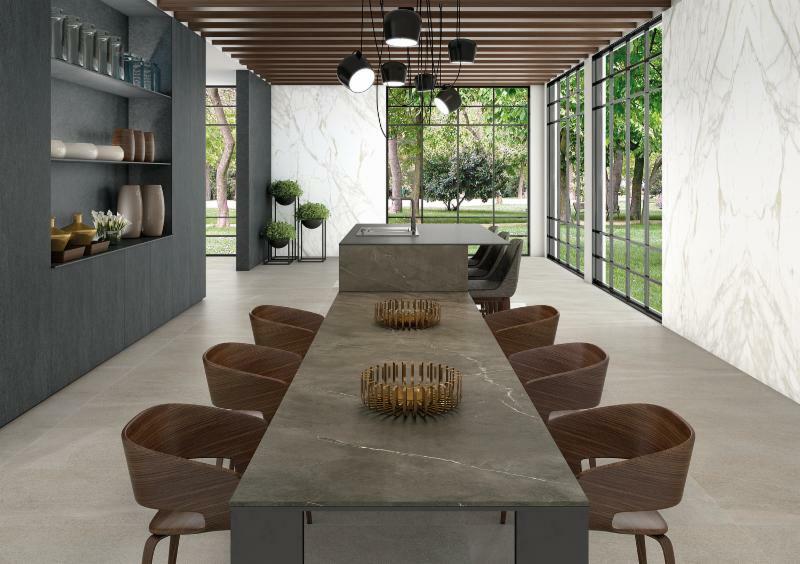 During the 4-day tile and stone exhibition, 85 Spanish ceramic and stone manufacturers showcase some of the most advanced ceramic tile technology and breathtaking design choices the world has to offer. 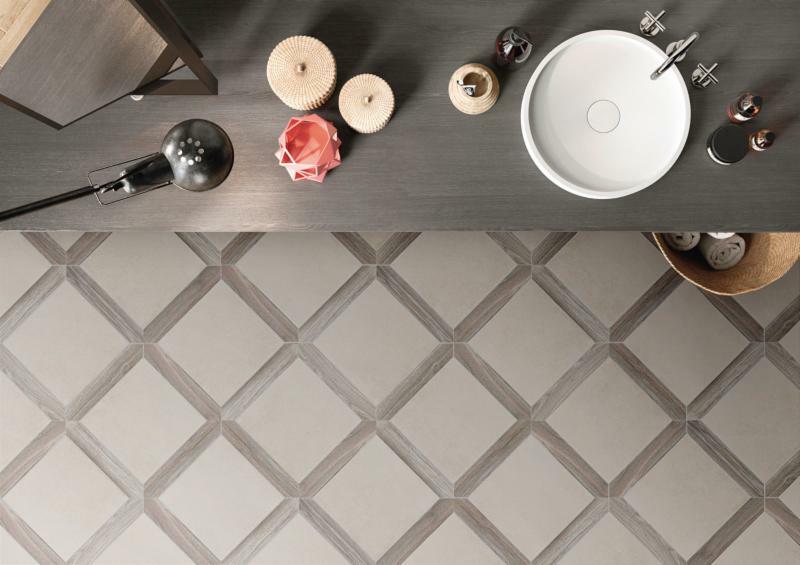 Gorgeous porcelain tiles and mosaics offer a world of choices in the new Floor Collection by Adex (#3115). On-trend geometric shapes in Solid White, Bone or Black are complemented with ceramic dots available in six coordinating shades. The mix and match shapes and colors offer ease in creating a customized look. As part of its innovation, Argenta (#3107) has added the Powder series to its product line. The new series combines materials, designs and formats to produce novel effects and a highly attractive look that comes in a wide range of floor and wall size formats. ThinCK is the new thin format coating technology from Colorker Group (#3147). Thanks to the versatility of its format and lightness of its thickness (6.5mm), ThinCK provides captivating beauty and a unique style to any space. Dune (#3501) encompasses a certain soul and symbolism with its newest collection, Minimal Chic. Composed of two series: Emporio, stone finish, and Factory, cement finish, each design in the collection is inspired by the work of minimalist style artists. Equipe Cerámicas (#3547) presents Artisan, a wall tile inspired by Arabic zellige. Artisan is available in two sizes (5×5″ and 2 ½x 8″) and a range of ten colors to accommodate individual design preferences. Chic is an exquisitely sophisticated modern collection from Keraben Grupo (#3531). Based on a combination of Victorian aesthetics and functional design, Keraben Grupo’s design team was inspired by Victorian wallpaper, creating wall tiles with a skillful combination of color and texture. Chrono, a new collection from Rocersa (#3621), is suitable for both interior and exterior floors and walls, offering the possibility to create attractive and elegant solutions in any setting. Based on two cold shades (white and grey) and a notably warmer shade (cream), this stoneware tile lends a wide range of composition and sensory options. Saloni (#3451) presents Bernini, a collection inspired by travertine marble with natural finishes. With a careful reproduction of calcium carbonate deposits, this collection is designed to highlight the material properties of sedimentary rock. The play of both gloss and matte finishes gives these ceramics a natural look resulting in a perfectly balanced design structure. 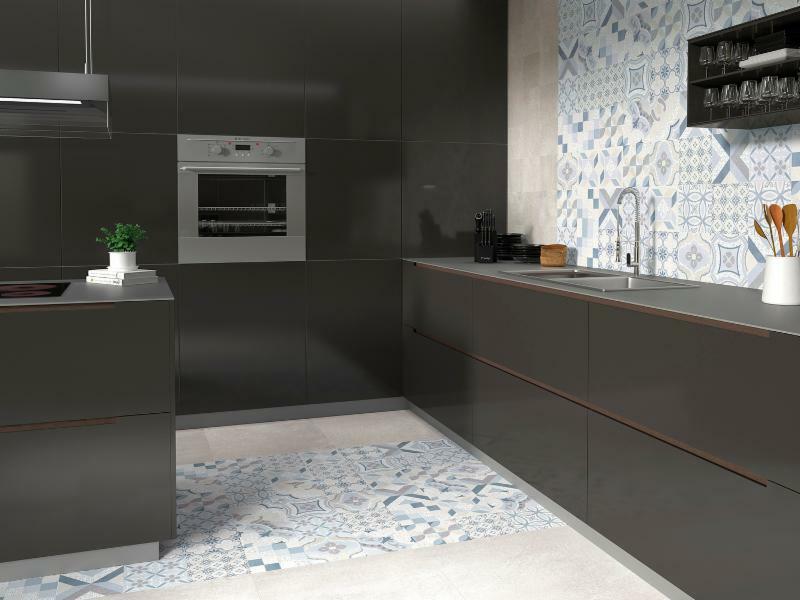 Tau Ceramica (#3831) introduces new formats, textures and applications to add to its already extensive offerings. These new additions are available in two new collections by TAU, Insignia and Evolution, along with the well-known Ascale range, which has been revamped and extended with new products. 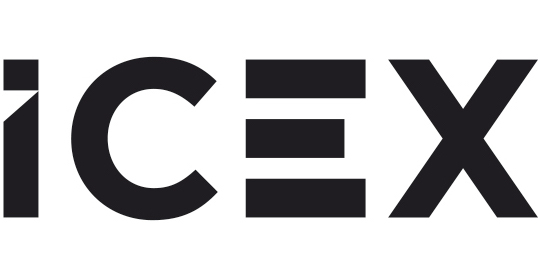 The 2018 Spanish Pavilion is organized and sponsored by ASCER, the Professional Association of Ceramic Tile Manufacturers from Spain, and ICEX Spain Trade and Investment. 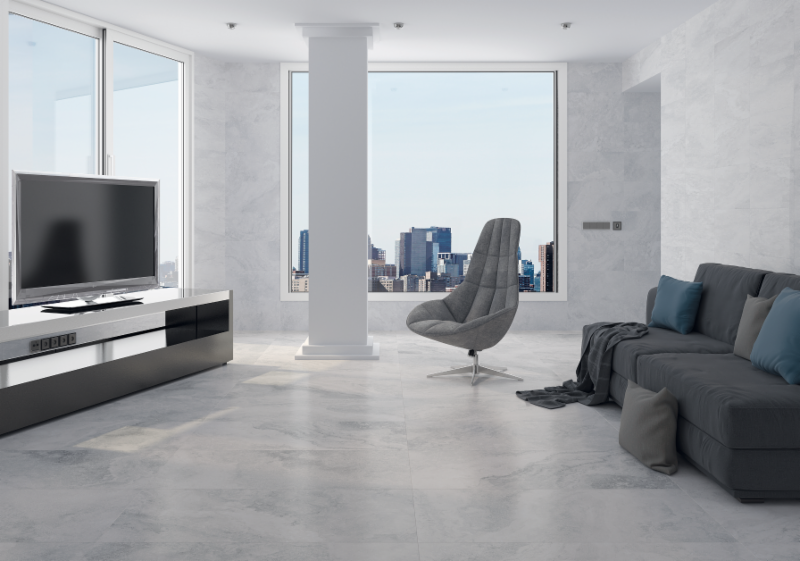 For more information, contact info@tileofspainusa.com or visit tileofspainusa.com. This entry was posted in Pressroom and tagged ADEX, Argenta, colorker, Coverings, Coverings 2018, Dune, Equipe, Keraben, Rocersa, Saloni, Tau, tile of spain by Nikki Scalia. Bookmark the permalink.